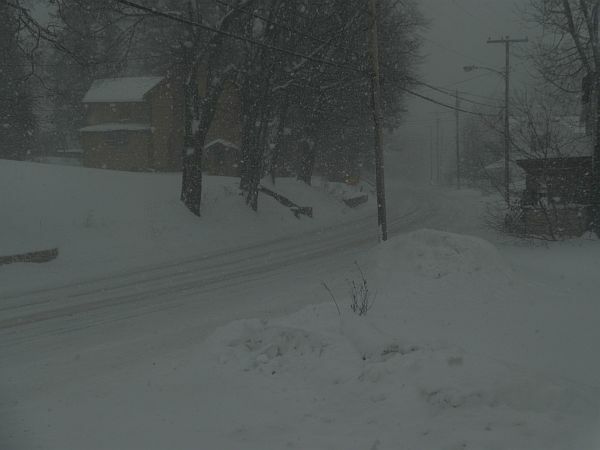 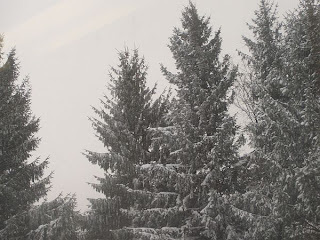 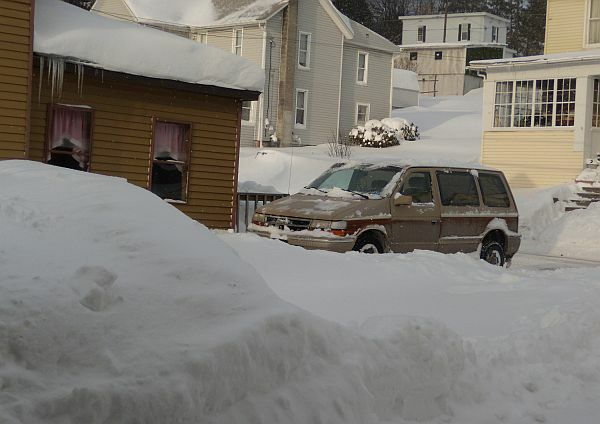 While we certainly don't have the amount of snow we did last year, here's a few photos I took recently. 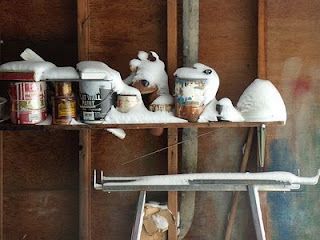 . .
Our garage door sometimes doesn't like to go down when it gets too cold, and here's snow on a shelf of paint in our garage. 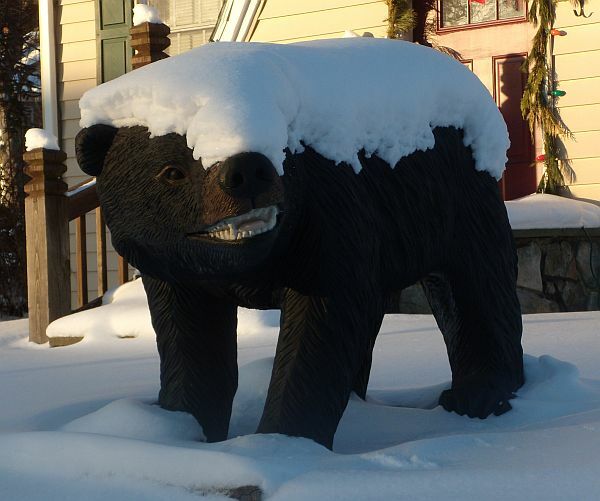 I saw this bear in the next town when I was out the other day, and thought it looked like it could "bear"ly stand the snow.